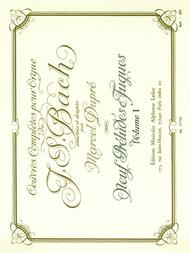 “Part of the Organ collection by J. S. Bach, this first volume, Complete Organ Work - Nine Preludes and Fugues, was composed in the 18th century. 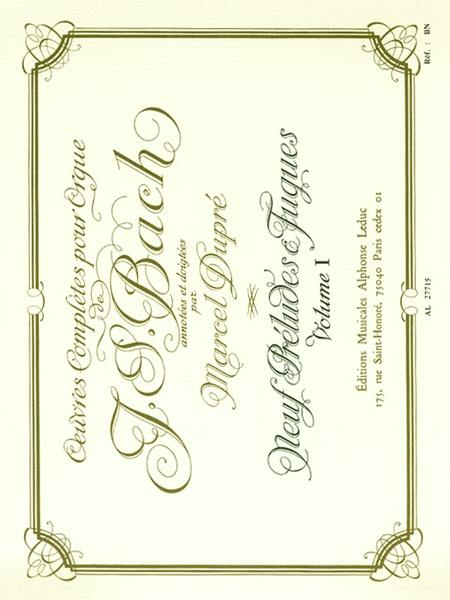 This volume is now translated into English and French and features the annotation of Marcel Dupré, a French organist, to help the performer get the most of this sheet music. This fourth book contains the nine following pieces: - Praeludium et Fuga ' C major - Praeludium et Fuga ' C major - Praeludium et Fuga ' C major - Praeludium et Fuga ' C minor - Praeludium et Fuga ' C minor - Praeludium et Fuga ' D major - Praeludium et Fuga ' D minor - Praeludium et Fuga ' E minor - Praeludium et Fuga ' E minor The preface of these Nine Preludes and Fugues is well written, with explanations of the comments and descriptions of the techniques to use for a good interpretation of this work. This volume can be used by intermediate players and above. ”.